We realize that most of you will choose a career in one of the primary care fields. Therefore, our main teaching objective for this rotation is for you to identify and integrate a core of basic urologic knowledge in a manner so that when you practice in your future career, you will be able to recognize the signs and symptoms of a urologic disease and either treat it, or when appropriate, refer the patient to a urologist. During your Urology rotation you will see both children and adults and a mix of both inpatient and outpatient procedures. As such, your time on the Urology rotation will be divided amongst the Operating Rooms, both Inpatient and Ambulatory, as well as the Outpatient Clinic and Inpatient Hospital care. In a short 2-week rotation, it will be difficult to experience everything in urology. Therefore, we strongly advise that you read and prepare prior to your time in clinic and OR to optimize your learning from each experience. 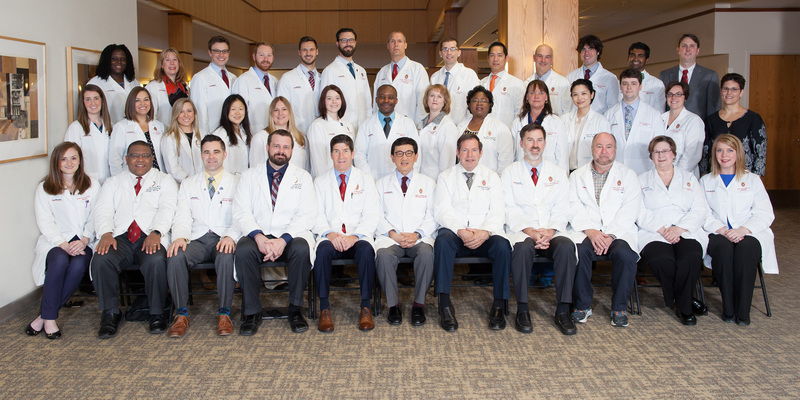 The UWHC Urology Clinic is located at C7/2. To try to maximize your educational opportunities, we will divide the students on service between clinic and the operating room. We will randomly assign you a number 1-4 prior to starting your rotation with us. All students will spend equal amounts of time in clinic and OR during their 2 weeks. If you find that there is something taking place in the OR that you really want to see, or if there is an Attending in clinic with whom you really want to work, you can apply a small amount of flexibility to the schedule; but in general, try to adhere to the schedule to maximize your experience. All of our faculty and residents are happy to work with students as we see our patients in clinic. However, clinic is often very busy. Therefore, it will be important for you to be proactive in order to maximize your learning experience. Please talk to each staff Urologist prior to starting in clinic to see how they would like you to work with them. For the most part, we encourage you to see the patients and introduce yourself as a medical student working with Dr X, and give the name of the physician that you are working with so the patients are not confused by your presence. Obtain a focused history, then examine the patient with the faculty and devise an assessment and plan. Please refer to the clinic schedule that is attached to find the faculty member with whom you will be working for any given clinic day. This part of your rotation is extremely vital and usually a lot of fun for the students. In addition to learning through clinical experiences with patients, we have also created learning opportunities through teaching conferences. Some of these conferences are held with the entire faculty, residents and students. There are also multidisciplinary conferences that concern our patients or practices. In addition, we have quite a few conferences that are focused primarily on student education. These are called Small Group Learning Sessions and they will generally be at locations throughout the Department (check weekly schedule for detailed information). There will also be a Urinalysis Lab teaching session conducted by Beth Collien, who is our Urology Medical Technician. This will take place at 2:00 pm the first Friday of your rotation in B6/209. If there are any changes to the schedule, we will do our best to inform you of them. Please refer to the weekly schedule to learn where and when the teaching sessions take place. In addition, remember that you will be expected to attend the Thursday afternoon core surgical lectures. As mentioned earlier, we know that most of you will choose a career in a field other than Urology. Therefore, some of the reading suggestions may seem overwhelming. At the very least, we expect you to read the nine modules that cover the 10 Core Urology Curriculum topics. (Prostate cancer management and screening are combined into one module). However, if you are interested in obtaining Honors during this rotation, you will need to demonstrate that you have read and understood more than just the core modules through thoughtful, illustrative discussions with the faculty and residents.